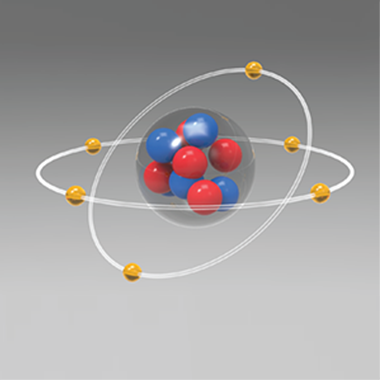 Imagine spawning 3D atoms everywhere in your classroom, then forming up atoms to demonstrate how covalent bonding works and seeing their geometric structure and angles right there in 3D and in real space. 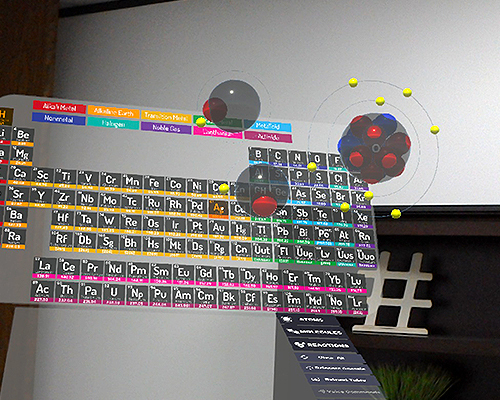 You can with HoloSphere! 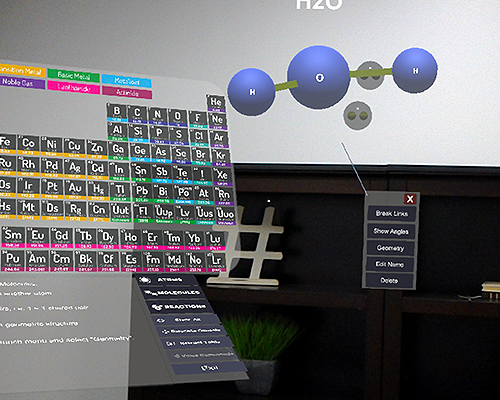 Students will be given a 5 minute brief on how to put on and use the hololens and an outline of the Holosphere Mixed Reality experience. Each student will be given a task sheet prepared by the teacher. Students are seperated into Groups 1 and 2 for class sizes between 17-32 students. Group 1 will run the experience to complete the tasks and the groups change over when Group 1 has completed their session. Students/teacher receives analysis report at the end of each session. This MR experience is designed to supplement in class lesson plans. Teachers can create their own task sheets for students or students can take a guided simulation. Unencumbered space of about 15 ft x 15 ft for each session to allow students to move around safely.